My name is Eddy Cisneros. I was born and raised in Lima, Peru. I want to call this story "How a Little Poor Kid Helped His Mother." I helped my mother both to survive and to raise my younger brothers. We were at that time 8 kids. This is the story of the life of one kid: where he grew and was raised in a neighborhood mostly populated by rich people. These rich people had big houses with big gardens and terraces and patios. Others lived in apartment buildings of 8 or 10 floors. 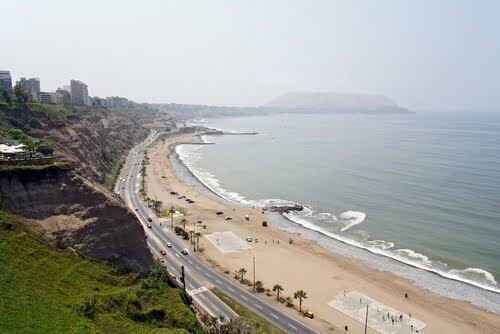 That place was called "Miraflores" in Lima Peru. Miraflores is a place near the beach, where one can see the ocean from everywhere. It has very nice gardens, nice play grounds, and nice protective walls enclosing side walks, so that people can't be exposed to danger. 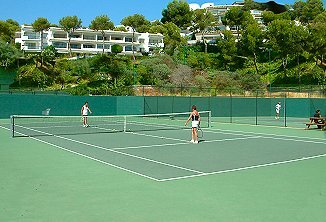 My home was very close to the big Tennis Club with a lot of tennis courts surrounded by stands for the audiences so they could watch the most interesting games. And of course they had a pool, and indoor soccer courts. This place was reserved only for those people who could afford to pay for expensive memberships. I remember, when the people played tennis, they wore nice white uniforms, but I don't want to forget talking about one of my favorite and best tennis players at that time. His name was "Alejandro Olmedo". He is still alive. He's 74 years old. 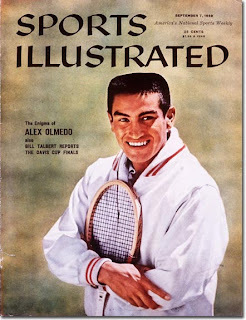 "Alex" was a former tennis player from Peru, who was ranked as the top amateur player in the world in 1959. 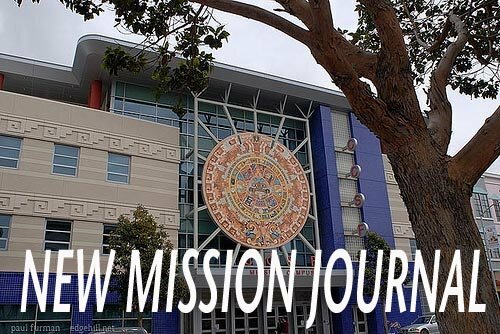 Although born and raised in Peru, he graduated with a business degree from the University of California. Alex represented the U.S in 1958 the Davis Cup in 1959, winning in both singles and doubles, achieving 2 of the 3 points required to win the cup. Even though he was not a U.S.citizen, he was technically eligible to represent the U.S. in the Davis Cup because he had lived in the country for a least five years and the U.S. was his country of citizenship. Peru did not have a Davis Cup team at that time. Well, I guess I have been talking too much, but I can't "hold my horses" when I begin talking about my people, especially when they reach The Hall of the Fame. I really get very emotional when I remember. Getting back to myself and the reality of my life, I only want to talk about my childhood and I don't want to mix it up with other stories. I was born in a village one hundred miles south of Lima, one hour driving, not too far away. When my parents decided to come to the city, I was just one year old. They moved because they wanted to give better lives to their children, and have better opportunities to get good jobs. They wanted us to have the chance to go to good colleges to study. And, of course, they desired to live in a good community with friends and a nice social life. They didn't think the life would be too hard to for us, however they were mistaken. Because we were very poor and everything was so expensive all around for us, we didn't have resources to survive in that place. I remember that in order to buy our groceries, we had to go to far away to get to the outdoor market where food was cheapest. That place was two miles away, and when we came back, we had to carry our bags on our shoulders. We only had one income, our father's. There was no one to help him. I don't know why our relatives weren't concerned about us. The other place we came from, we always had something to eat because my grandfather had animals and a big house and a lot of land. well anyway we lived in Lima in a big old house that had been abandoned. A couple of families lived there rent free! I remember when my older brother Jose got up very early in the morning, when the sun wasn't shining. It was dark, about Four AM. He didn't make any noise and sometimes he didn't eat any breakfast. He just went to work at the Tennis Club which is what he did at that time. He was only 13 or 14 years old. He helped other adults to prepare the field of the tennis court for the day's activities. He worked four hours in the morning and later he went to the school from 8:00 am to 3:00pm, because at that time, he was in the first grade of secondary school, but he took on the responsibility just like a father to help my mother and bring some money home. He worked very hard. He went early to work because the tennis courts had to be ready for the members who played with their trainers or their friends to have a good time. My brother Jose was a successful student, very intelligent, and a smart guy, the best in the class room. He sometimes worked on Sundays, picking up the balls, too. Or when there was a holiday, he stayed at home running errands for the kids of rich people. Well he did many things to make money and give it to my mother and never ask for anything or argue about it. What a great guy he was! The example of my brother gave me the idea to follow him to do something and help at home. At that time, I was only 10 years old. One day when he left early and he didn't know it, I followed him to the Tennis Club, and I tried to search for a job somewhere to pick up the balls, but nobody hired me because I didn't have any experience. Also I didn't know how to follow the game's score: like 30 to 15 or 40 to 15 etc. And also I was too little. But one guy finally hired me and I did, I guess, very well, THANK GOD. After that, I went to work every Saturday and Sunday, all day, 6 or 8 hours a day, and when I finished, I gave my mother the money, too. I made 8 or 10 dollars a day, and my mother gave me back only five cents. I went to the school in the morning from 8:00 am to 1:00 pm. I was in the fourth grade. But after class, I played soccer with my friends all afternoon until 7:00 pm. Sometimes, when we didn't have school, like vacations, I went fishing at the pier very close to my house. My mother didn't like me going out there, but when I brought a few fish, she was happy that on that day we would have a good lunch. I remember my friends. They went to the beach to go swimming. I didn't follow them because I never learned to swim because at that time I suffered from bronchitis. I couldn't go into the cold water. Well, to finish this composition, I will talk a little bit about my sisters. They worked too. The oldest worked as a maid in a big house, the second oldest helped some people with their children, and they brought money home, too.